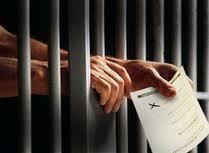 Law and Lawyers: Prisoner Voting - Scoppola v Italy - Will prisoners finally have to be granted the right to vote? from public office, which in turn meant the permanent forfeiture of his right to vote. Appeals by the applicant against the ban were unsuccessful. The Court of Cassation dismissed an appeal on points of law in 2006, pointing out that only prison sentences of at least five years or life sentences entailed permanent disenfranchisement. Following a judgment of the European Court of Human Rights of 17 September 2009 in another case brought by Mr Scoppola (Scoppola v. Italy (no. 2)), in which the Court held that there had been a violation of Articles 6 (right to a fair trial) and 7 (no punishment without law) of the Convention, the Court of Cassation commuted his life sentence to 30 years’ imprisonment. Complaint and procedure - Relying on Article 3 of Protocol No. 1 (right to free elections) to the Convention, the applicant complains that he was deprived of the right to vote as a result of being banned from public office for life following his criminal conviction. The complaint was lodged with the European Court of Human Rights on 16 December 2004. In its Chamber judgment of 18 January 2011 the Court found a violation of Article 3 of Protocol No. 1 because of the automatic and indiscriminate nature of the measure depriving Mr Scoppola of the right to vote. On June 2011 the panel of the Grand Chamber accepted the Italian Government’s request that the case be referred to the Grand Chamber under Article 43 of the Convention. A hearing was held in the Human Rights building in Strasbourg on 2 November 2011. The present British government is vehemently opposed to granting voting rights to prisoners. The Prime Minister said that granting the vote made him physically ill. The government intervened in the Scoppola case with the Attorney-General personally addressing the Grand Chamber. In a speech delivered at Lincoln's Inn, the Attorney said: "We need clarity. That is why the United Kingdom is intervening in Scoppola before the Grand Chamber of the European Court of Human Rights. I am personally going to Strasbourg to plead the matter on behalf of the United Kingdom. I will argue that the principle of subsidiarity requires the Court to accept that on issues of social policy such as prisoner voting, where strong, opposing reasonable views may be held and where Parliament has fully debated the issue, the judgement as to the appropriate system of disenfranchisement of prisoners is for Parliament and the Court should not interfere with that judgement unless it is manifestly without reasonable foundation ..."
The recent Brighton Declaration referred to subsidiarity with para. 3 of the Preamble stating - " The States Parties and the Court share responsibility for realising the effective implementation of the Convention, underpinned by the fundamental principle of subsidiarity and points out that the court acts as a safeguard for violations that have not been remedied at a national level." Later, at para. 12, "The Conference therefore: a) Welcomes the development by the Court in its case law of principles such as subsidiarity and the margin of appreciation, and encourages the Court to give great prominence to and apply consistently these principles in its judgments; b) Concludes that, for reasons of transparency and accessibility, a reference to the principle of subsidiarity and the doctrine of the margin of appreciation as developed in the Court’s case law should be included in the Preamble to the Convention and invites the Committee of Ministers to adopt the necessary amending instrument by the end of 2013, while recalling the States Parties’ commitment to give full effect to their obligation to secure the rights and freedoms defined in the Convention. Then, at para. 29, The Conference therefore: a) .... ; b) Reiterates the invitation made by the Interlaken and Izmir Conferences to the Committee of Ministers to apply fully the principle of subsidiarity by which the States Parties may choose how to fulfil their obligations under the Convention; ..."
The judgment is therefore awaited with massive interest to see whether Hirst No. 2 survives the onslaught from governments seeking to maintain their voting prohibitions. In Hirst, the Grand Chamber ruled that the UK's BLANKET band on prisoner voting was in breach of Convention rights. The court stated that (i) imprisonment should mean loss of liberty and not other Convention rights; (ii) disenfranchisement played no role in the sentencing process and there was no evidence that it deterred crime; (iii) those convicted of crimes with a strong anti-social element but not in prison do not lose the right to vote whereas some convicted prisoners may have committed offences with some moral excuse but would lose the right to vote; (iv) there was no evidence that Parliament had ever seriously considered the competing arguments for and against the ban. As far as (iv) is concerned, the evidence which the court looked for is now there. In early 2011, House of Commons voted to support the ban. Hirst is binding on the UK though the British governments (Labour and Coalition) have avoided implementation of the decision. Perhaps something in Scoppola may make a difference and enable the UK to maintain its ban. In the post-Brighton era, will the court be more ready to accept that this should be a matter entirely for national parliaments or will the court continue to adhere to Hirst? Perhaps the most likely outcome is that the essentials of Hirst will survive but the court will give greater guidance as to the factors to be considered in deciding nationally where the line should be drawn between those prisoners to be allowed a vote and those who are not. 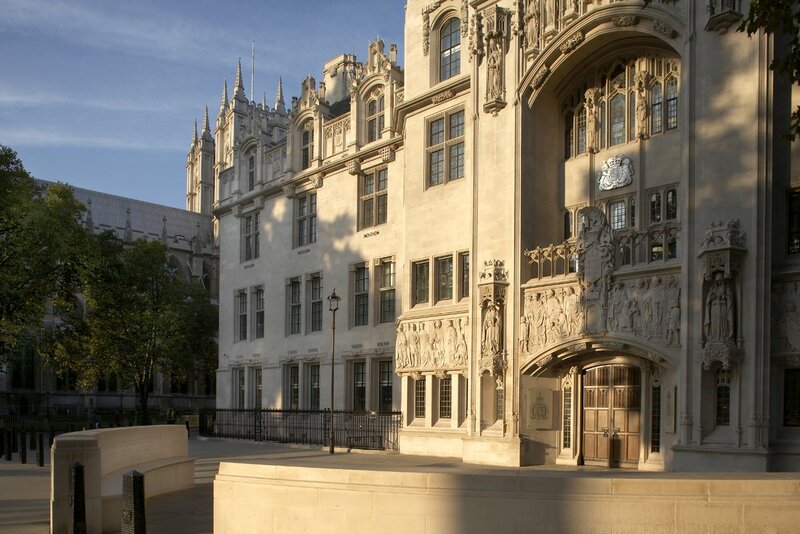 UK Human Rights Blog - 15th May - "European Court Grand Chamber to rule on prisoner voting ..."
The UK's position prior to the Chamber and Grand Chamber decisions in Hirst No2 was opposition to convicted prisoners getting the vote. The UK's position was defeated. That is, it was decided that the UK's position was wrong. Therefore, why is the UK maintaining defending the indefensible? Do you really believe that the thought of convicted prisoners getting the vote makes David Cameron feel physically ill? Personally, I think he is a pathetic liar and was simply playing to the gallery. What shall we do, amend the ECHR to read "you are entitled to these human rights unless the thought of you having them makes the Prime Minister physically ill"? I have nothing but contempt for Dominic Grieve who clearly sold his soul to the devil. Another pathetic liar. It could not be clearer, the UK lost Hirst No2. The ECHR is clear, the UK is required to take individual measures to remedy the breach and general measures to ensure no such breach occurs again. It is also clear that the UK has failed on both counts. What is not clear is, why the UK is not prepared to accept a judgment against itself in favour of a judgment against Italy? At the Interlaken Conference Baroness Kennedy agreed to the Interlaken Declaration which included Member States implementing the subsidiarity principle. The Coalition did not know what this was nor what it entailed. Belatedly, Dominic Grieve grasped at this straw but has misconstrued the principle. Part of this principle requires Member States to abide by the ECHR and implement ECtHR decisions. Instead, Dominic Grieve thinks his piece of straw is a sword as he rode to Strasbourg to tilt at windmills. When did prisoner voting suddenly become social policy? There are strong opposing views to prisoners getting the vote, but are they Wednesbury reasonable? The problem is that Parliament did not prior to Hirst No2 fully debate the issue, and since has still not done so. The ECtHR intervened in the issue with reasonable foundation because Parliament and the courts in the UK abdicated responsibility for the issue. Therefore, the UK's position remains as weak as it was when I first won the case. The principle of subsidiarity does not allow for Member States to choose not to fulfil their obligations under the ECHR. According to the ECHR the Hirst No2 decision is final. As the victor I am not aware of any onslaught. However, I am aware that the UK has made noises...empty vessels spring to mind. As far as (iv) is concerned, surely you don't seriously consider that that charade in the Commons seriously considered the issue and that it fooled the Court? As it stands under the ECHR Member States are bound by decisions against them and are not bound by decisions against other Member States. Therefore, Scoppola makes no difference to Hirst No2. Neither will the Brighton Conference alter anything, the UK lost its challenge to curb the Court's jurisdiction. The Court has no option but to adhere to the final decision. In Frodl the Court has already provided greater guidance, that is, only such as those convicted of electoral fraud or abuse in a public office may be disenfranchised. @ Jailhouselawyer - thank you for your lengthy comment. I wrote that "The Prime Minister said that granting the vote made him physically ill." Of course he was playing to the gallery - his Eurosceptic party members and the tabloids. He is a politician ! As far as (iv) is concerned, surely you don't seriously consider that that charade in the Commons seriously considered the issue and that it fooled the Court? I actually consider the House of Commons debate was poor on this issue. Individually, the European Court of Human Rights judges will be well able to see this. However, the fact remains that there has been a debate and the vote went against prisoner voting. The European Court would have to recognise this. I would doubt that the court would really get into the business of questioning the quality or outcome of the debate itself. My post makes it clear that UK is bound by Hirst No 2. The decision ought to have been implemented ages ago but, as you know, Ministers of all political persuasions have sought to dodge the issue. The word "liar" is very strong - too strong in my view. I think that both Mr Cameron and Mr Grieve have merely sought to state their Party Political position and Mr Grieve sought to set out - pre Brighton - the UK's stance which was set out more fully in the draft declaration. Of course, Mr Grieve used more measured tones at Lincoln's Inn than did Mr Cameron in the Commons Chamber. The final Brighton declaration is interesting. At first sight the UK government does appear to have lost out on what it wanted. However, they have got "subsidiarity" embedded into a formal document instead of it being merely an aspect of the court's jurisprudence. Post Brighton there is a lot of work to be done to implement the declaration and I suspect that the UK government may eventually be seen to have succeeded more than at first appears. I do not support either the coalition's attack on human rights or the tabloid attacks on the Convention. The Convention sets out some very basic rights and it would be a travesty if, for example via some British Bill of Rights, our rights became merely what the politicians said they were. (The idea of a British Bill of Rights is another bridge to be crossed in the not too distant future). The bottom line of your comment is absolutely right. The UK is bound by decisions to which it is a party. Nothing has changed that fundamental rule. I don't believe that "He is a politician" is an excuse for unacceptable behaviour. With the job comes responsibilities, and they should be beyond reproach. By making an untruthful statement in the Commons he is misleading Parliament. Quite simply, he has abused parliamentary privilege. The motion was legally flawed to begin with. Mr Speaker should have called "Order". I believe the so-called debate was less than poor. Parliamentary privilege was abused to attack me personally besides other convicted prisoners, and to attack the ECHR and ECtHR. In Hirst No2 one of the points I argued and won was that Parliament had not debated the issue. The Commons farce was based upon this being the ratio for the case. To belatedly hold a sham debate in the Commons does not remedy the breach of human rights. The ECtHR had not said "Now go back home and debate the issue". Parliament consists of more than the Commons. Therefore, Dominic Grieve was being less than truthful when he argued "where Parliament has fully debated the issue". Strasbourg has criticised both the quality and outcome of the so-called debate. Part of Hirst No2 argued that the UK had abdicated responsibility for deciding the issue, and as you observe Ministers are still dodging the issue following the ECtHR judgment. There is no lawful authority to maintain that the UK is still right when the ECtHR has ruled that the UK is in the wrong. It is not acceptable to claim that the ECtHR decided the case wrongly. Here we have to pause and consider what a mockery of justice it is for the losing party to a case not to accept the Court's final verdict. I disagree with the idea that it is unparliamentary language to call someone a liar in Parliament. I am aware that convicted prisoners stand on the moral high ground on this issue and that the attacks are launched from the moral low ground. Until David Cameron produces a sick note from his doctor to counter my allegation then the truthful, albeit strong language, remains valid. There is no lawful authority to maintain an unlawful Party Political position. And the AG is supposed to act impartially. Perhaps, it is time to refrain from calling MPs honourable and right honourable until such time as they act honourably? Subsidiarity was embedded into a formal document with the Interlaken Declaration, and once again in the Izmir Declaration. All the Brighton Declaration achieved was to triplicate it. What is needed now is for the UK to be made to honour its pledges in all 3 in relation to abiding by the ECHR and ECtHR decisions. In my view, all the UK has succeeded in doing is making itself a laughing stock in thinking it could dictate terms to the other 46 Member States. Every revolution in history started in prison, and my revolution in democracy is no different. It cannot be right that our prison system, in effect, a state within a so-called liberal democratic State, should continue to exist without being part of the democracy. I was concerned about the lack of justice in prisons (which Lord Woolf recognised existed). The Prison Act 1952 and the Prison Rules 1999 refer to rights and privileges, however I was aware that they depended upon the prison authorities honouring them. By the same token, a Bill of Rights is worthless unless the rights can be enforced. Rights dependent upon responsibility misses the point, and as I have highlighted Ministers acting irresponsibily are not fit to decide who is and is not eligible for human rights. In the same way that Lord Woolf stated that justice does not stop outside the prison gates, neither should the law. When I first started prison law did not exist. Lawyers knowledge of the law stopped at the prison gates. My task was to bridge that gap. The amount of case law and texts relating to prison law today shows that I have crossed that bridge. Therefore, I am not daunted by the Bill of Rights bridge.